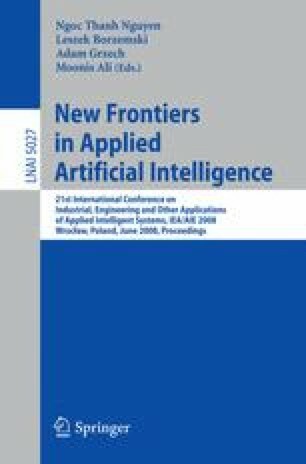 The central problem addressed by this interdisciplinary paper is to predict related software artifacts that are usually changed together by a developer. The working focus of programmers is revealed by means of their interactions with a software repository that receives a set of cohesive artifact changes within one commit transaction. This implicit knowledge of interdependent changes can be exploited in order to recommend likely further changes, given a set of already changed artifacts. We suggest a hybrid approach based on Latent Semantic Indexing (LSI) and machine learning methods to recommend software development artifacts, that is predicting a sequence of configuration items that were committed together. As opposed to related approaches to repository mining that are mostly based on symbolic methods like Association Rule Mining (ARM), our connectionist method is able to generalize onto unseen artifacts. Text analysis methods are employed to consider their textual attributes. We applied our technique to three publicly available datasets from the PROMISE Repository of Software Engineering Databases. The evaluation showed that the connectionist LSI-approach achieves a significantly higher recommendation accuracy than existing methods based on ARM. Even when generalizing onto unseen artifacts, our approach still provides an accuracy of up to 72.7% on the given datasets.